Remember my Laser Kaleidoscope project? 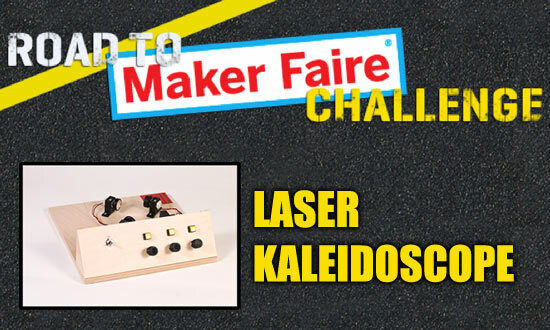 Well, I entered into into the Road to Maker Faire contest, and now I need your vote! But why should you vote for me? I’d like to explore making this thing into a kit that would teach people about things like basic electronics, lasers, engineering, and fun. I’m hoping a visit to Maker Faire will give me the opportunity to talk to knowledgeable people and learn more about building it into an actual kit you could purchase and build yourself. That’s the plan! So yeah, vote… vote now, not later. And then ask your friends to vote. Did you vote yet? Thanks! I appreciate it! Note: Voting is over! Thanks to everyone who voted for me… now we wait! Posted on Wednesday, April 10th, 2013 at 7:38 am. Subscribe to the comments feed. Both comments and pings are currently closed. Post on your own blog.